Enter this Amazing Back to School Sweepstakes! Tea has teamed-up with Yoobi, Rock the Lunch Box, Weelicious, Lifefactory, and Minted to create one amazing Tea Collection Back to School Sweepstakes! 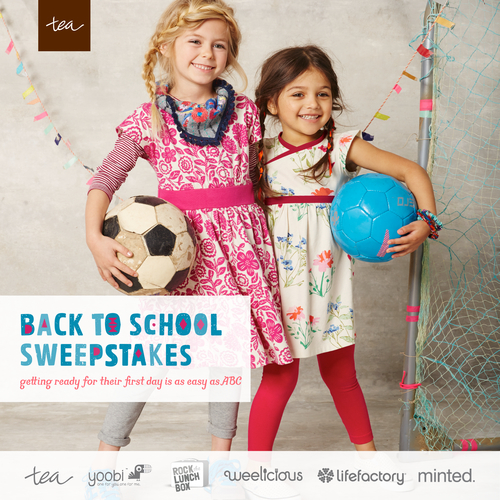 Win a bundle of goodies in Tea Collection's Back to School Sweepstakes! Enter now!